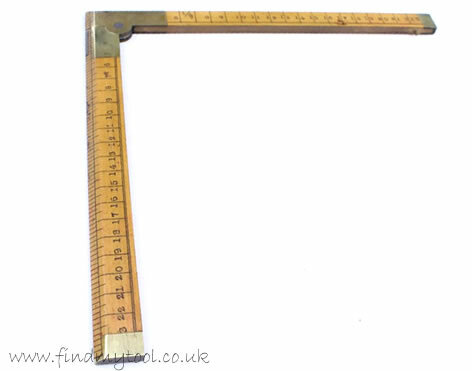 This Edward Preston diagram square, also referred to as an architects square is a folding square which opens to a 90 degree angle to form a small version of a tailors square. The square can be used for all three uses / professions which no doubt is not the exhaustive list of what this square has been used for. This well-made Edward Preston square is made from boxwood which is combined with a special 90 degree brass hinge and brass ends. 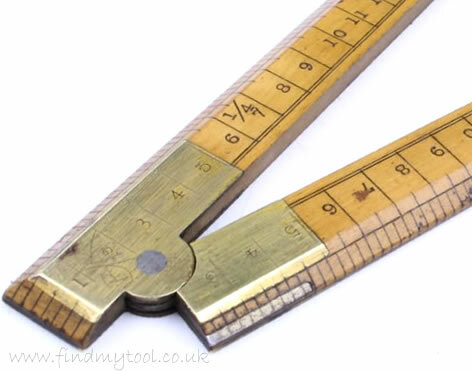 The outer edges on the top side of the folding rule square are bevelled to give a nice steady slope from the edges to the face; a feature which is common with old architect's rules. The 6 inch arms have various measurements on each arm. The undersides of the arms are marked in inches which are further broken down into 1/8" increments. The upper sides are marked 1-24 on each arm which are further broken down into 4 increments for each number. 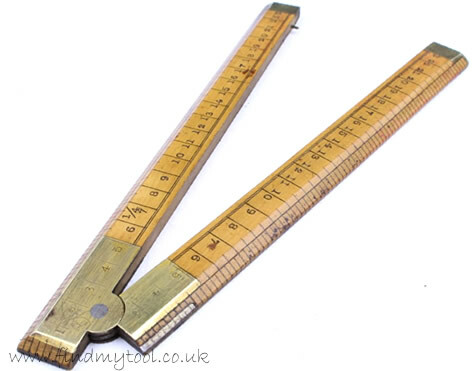 Each of the 1-24 measurements measures 1/4 inch. The rule is marked 'E. 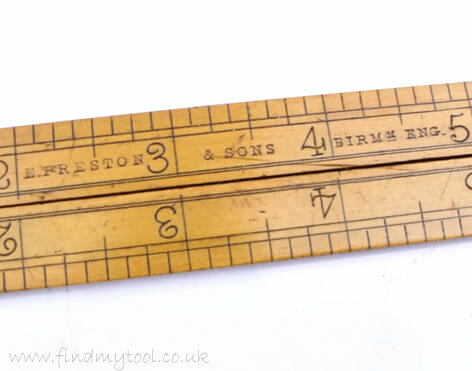 Preston & Sons, Birm Eng'.